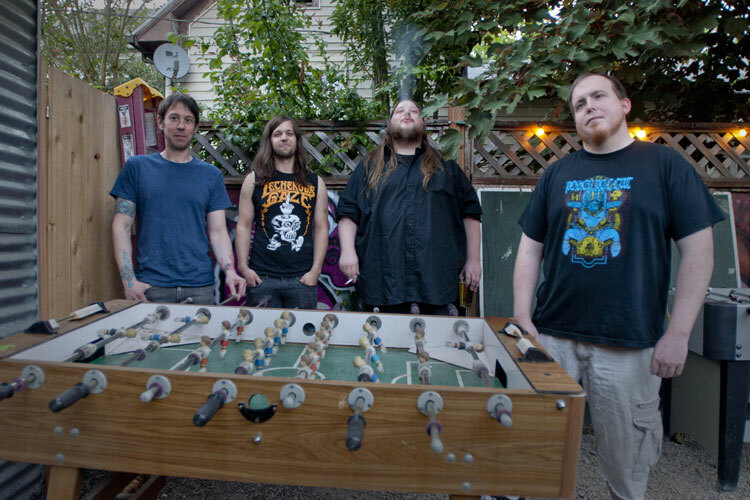 Relapse Records is proud to announce the signing of Portland, OR riff worshippers LORD DYING. Formed in 2010, LORD DYING (E. Olson-guitar/vocals, D. Capuano-bass, J. Reid-drums/vocals & C. Evans-guitar) are veterans of the heavy music scene, having played in bands such as Black Elk, Portals, Le Force, and Cremains. The band has so far released a sold out 7” and a sold self-titled tour EP. The song “In a Frightful State of Gnawed Dismemberment” from both releases can be heard via their official bandcamp page here.